Creating ‘The Pavillion’ & transforming unusual spaces. 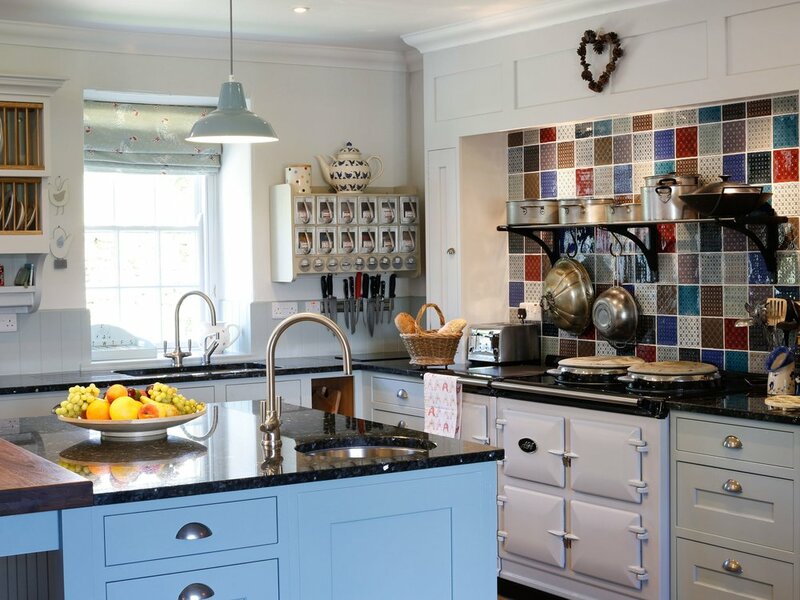 The McDonalds were renovating a house and a cottage, and so the site was full of builders and scaffolding when Countryside Kitchens & Interiors got involved. The family wondered how on earth our designer, Shona, would be able to see her way past all the workmen and chaos! 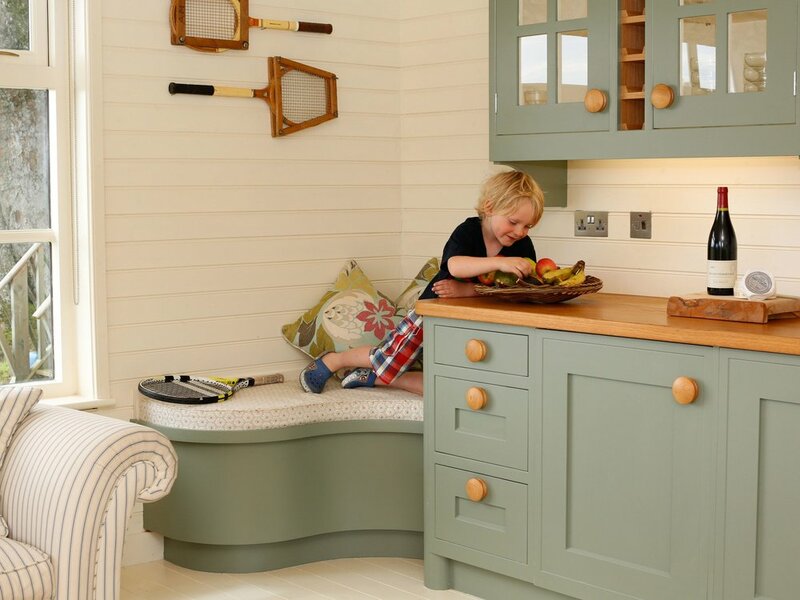 The couple’s first project with Countryside Kitchens & Interiors was a bespoke ‘snug’ area in the cottage, for their teenage sons and friends. 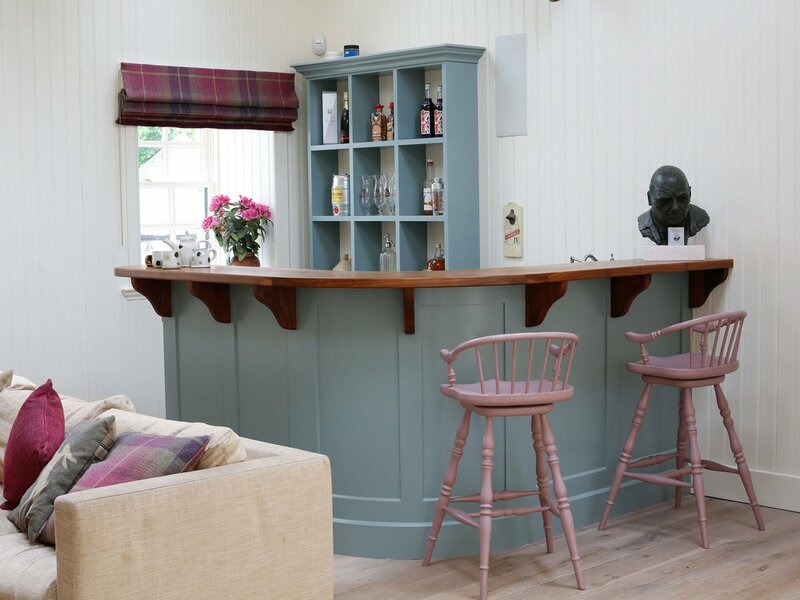 It has a drinks and breakfast bar with a walnut worktop, cooker and fridge, as well as a dresser for crockery, painted in the same Farrow & Ball shade as the bar unit. “The round bar is fantastic,” says Catherine. 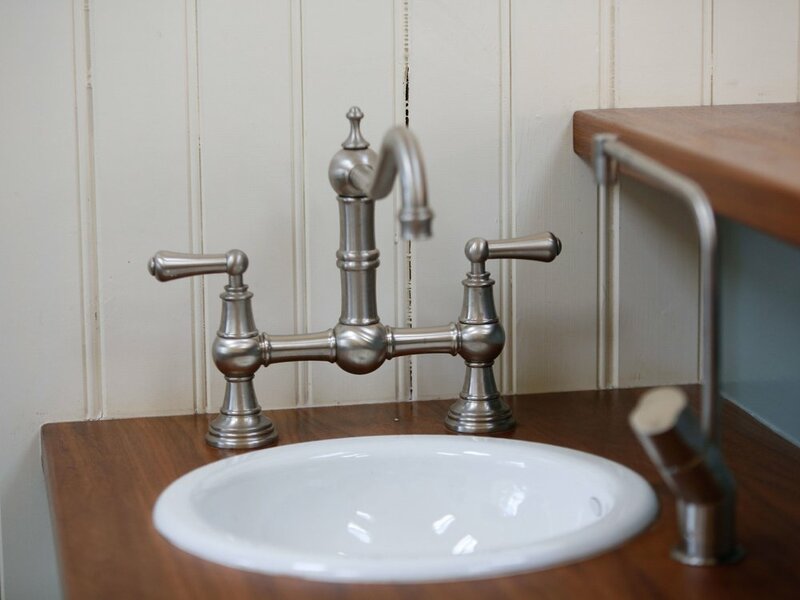 “You can sit at one side, while the sink and coffee maker are out of sight. 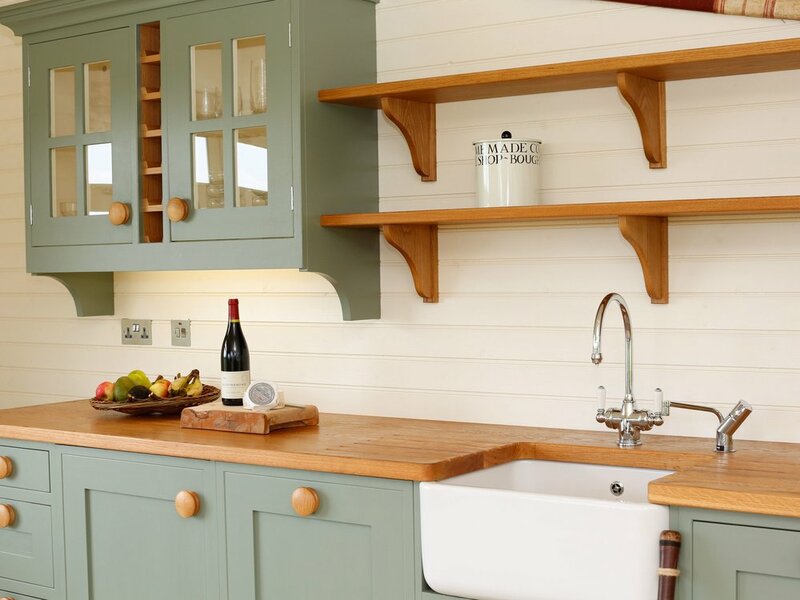 The boys were thrilled.” The couple were impressed by Countryside Kitchen’s creativity and craftsmanship, and gave Shona free rein to design their next project – the ‘tennis pavilion’. The pavilion looks out over tennis courts and has French doors and a complete kitchen, as well as bespoke curved seating. 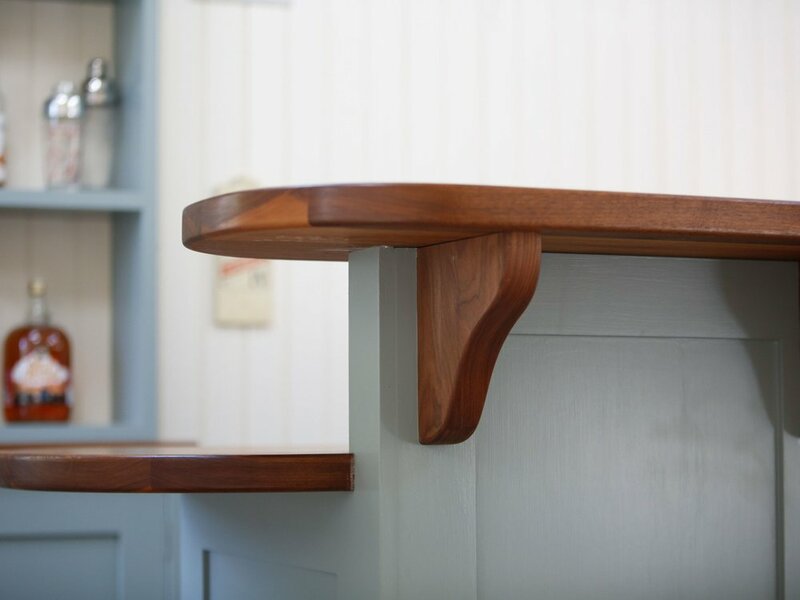 High quality materials and robust paint finishes as well as rounded edges mean the kitchen is able to withstand the regular onslaught of children, animals and muddy boots.